If Gov. Tom Wolf keeps his promise to do nothing, Pitt is set to receive the $143 million in state funding legislators promised in just four days. After a press conference Wednesday, Wolf issued a statement saying he would not sign his name to veto the current state budget bill sitting on his desk, allowing the funding measure to become law on Monday. If Wolf takes no action on it for 10 consecutive days while the legislature is in session, the bill will become law. Along with the 2015-2016 state budget, which was due in June, four additional appropriation bills — which will allocate funds to Pitt, Penn State and the other state-related universities — will become law unless Wolf vetoes them. With its funding measure in place, Pitt will receive about $143 million — about 15 percent of its yearly budget — from the state. This allocation represents a nearly 5 percent increase in state funding from last year, but is about $4 million less than Pitt expected. In a statement issued Wednesday afternoon, Pitt Chancellor Patrick Gallagher thanked Wolf and other state lawmakers for restoring the University’s funding. 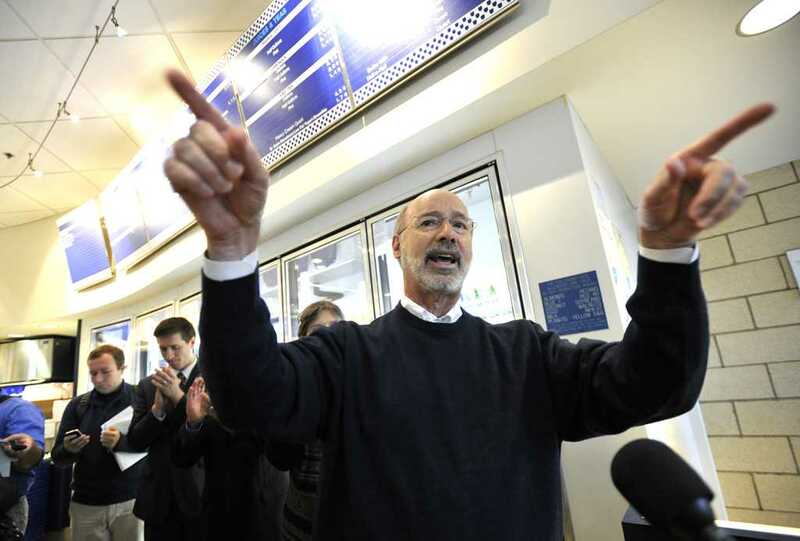 Wolf’s announcement came less than 24 hours after Pitt students, faculty, staff and alumni returned from a day of lobbying legislators in Harrisburg. With the effort, Pitt’s representatives urged Wolf to enact the budget and the other appropriation bills. Last week, though, it seemed unlikely the governor would do so. Wolf’s announcement Wednesday was a reversal of his indication a week ago that he would veto the budget. In statements both last week and Wednesday, Wolf lamented that the Republican-backed budget was out of balance and would leave the state with an additional $300 million deficit on top of the existing $2 billion deficit. On Wednesday, despite maintaining his position on the budget’s imbalances, he said he would let the measure pass. For Pitt students, restored state funding alleviates worries of a tuition increase, Student Government Board President Nasreen Harun said in an email. Though Pitt never officially said it would raise tuition, in a referendum passed in February, SGB warned of a potential increase and called on state lawmakers to pass a budget. Temple spokesperson Raymond Betzner said last week that the school would have to “very seriously consider” raising student tuition if the impasse continued into the next fiscal year, which begins July 1. Pitt’s most tangible struggle during the impasse was dipping into reserve funds to cover the Pennsylvania Higher Education Assistance Agency grant program, which doles out $10 million per semester to students who demonstrate financial need. Harun said SGB would wait to release an official statement about the state budget until it becomes law Monday. Harun and Pat Corelli, SGB governmental relations committee chair, said SGB’s efforts to get in touch with lawmakers and ask them to pass a budget paid off. Student governments at other state-related universities — Penn State, Temple and Lincoln Universities — passed similar referendums around the same time as SGB. But, Corelli said, students talking with lawmakers at Tuesday’s Pitt Day in Harrisburg definitely didn’t hurt. Currently, Pitt’s in-state tuition is $17,292 and its out-of-state tuition is $26,058. Supowitz said he hopes for a timely budget for the next fiscal year, but knows all the time spent on this year’s budget took legislators’ focus away from next year. “It’s next to impossible to cobble things together for the next year [while they’re still trying to get this year’s budget together],” Supowitz said. Also uncertain are the salaries of Pitt’s senior administrators, including Gallagher. Earlier in March, University Times reported Pitt would freeze the salaries of Gallagher and six other top administrators until the end of the budget impasse. Pitt spokesperson Ken Service said Wednesday that the pay freezes have “not yet been addressed” since the impasse ended. All across campus, though, both students and administrators felt tangible relief, according to both Supowitz and Corelli. Corelli said state legislators must prevent a similar impasse this year and should find a sustainable model to balance the budget and fund education.